Whats the most intimidating thing about eating out in a foreign country? (Besides the fear of getting the runs)... Not being able to read the menu! Luckily we had our HK office team to help translate. 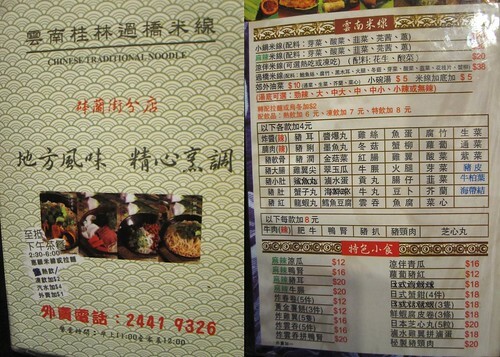 This small little hole in the wall restaurant specializes in YunNan (SiChuan related) rice noodles. 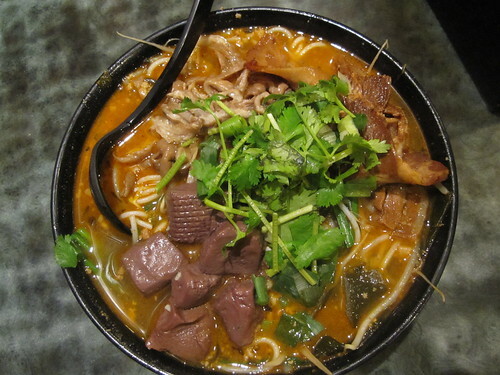 You choose from 6 levels of ma la (peppercorn-- that numbs your mouth) spicy broth, and then add from a list of ingredients as you wish. We started with cold non spicy appetizers first so that we would have it on the table when we needed a break from our flaming noodles. Luckily I grew up with these dishes so I wasnt grossed out. 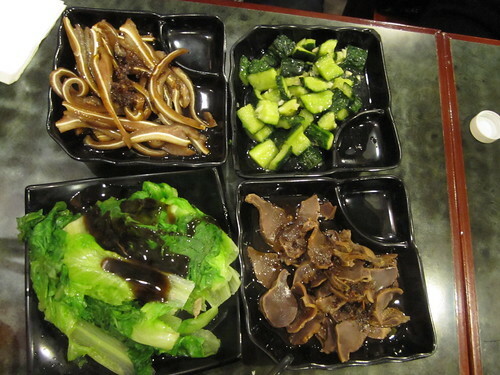 (Top left to right): Pigs ear (cartilage is crunchy), pickled cucumbers, steamed veggies, pigs kidney (least favorite). 1. pig blood (the purple looking tofus) 2. seaweed 3. sprouts 4. pigs intestine (yummy) 5. just slices of pork (hey, had to play 1 safe card right?). 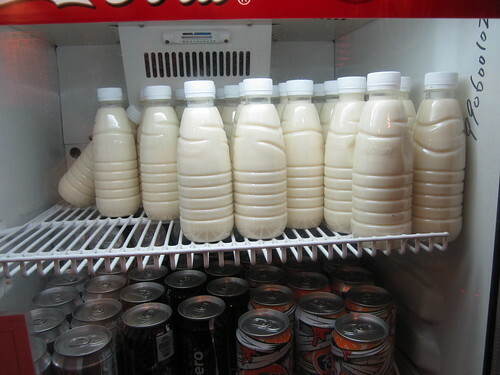 **I love spicy flavors, but a level for me, was giving me a runny nose and the only thing that could put the flame out was of course-- soybean milk! 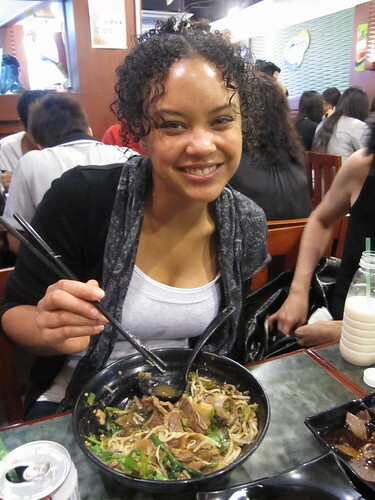 But Shontay, my sister from another mother, DRANK ALL THE BROTH UP!!! Her bowl is DRY....She out-spiced all 6 of us!